In the past 50 years, a lot of people have passed through this university’s halls. 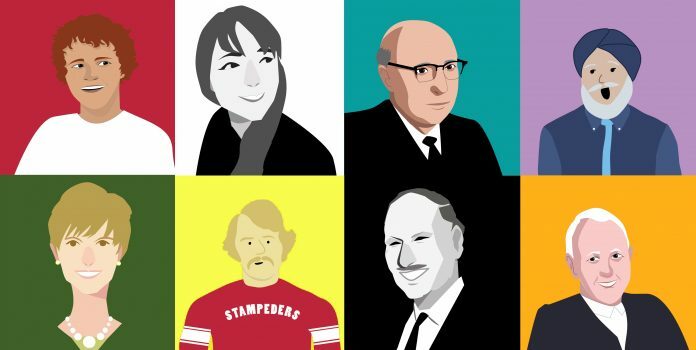 From students to teachers to administrators, athletes, mascots and more, so many people with strong connections to SFU led fascinating lives. While we wanted to write a comprehensive countdown of the top 50 SFU people ever, there’s no way we could honestly have the proper knowledge to make that list. Regardless, here’s a list of 50 great people who are connected to SFU. Past the first couple, the order doesn’t hold any real meaning. And of course, these aren’t the only 50 amazing people our school has to offer, but each one of them represents something about SFU that makes it such an unbelievable institution. At 18 years old, Terry Fox was a young kinesiology major just trying to make SFU’s junior varsity basketball team. At 19, he was just trying to beat cancer. And at 21, he was changing the world. Fox is without a doubt the greatest person to ever attend Simon Fraser University. His 1980 ‘Marathon of Hope’, in which he attempted to run across Canada with a prosthetic leg, inspired global events that have since raised over $650 million for cancer awareness and research. His number four might be raised to the rafters in the gym, but he’s definitely number one in our hearts (and on this list). While most students are more familiar with her as a building name than a person, Margaret Benston is one of the most amazing people to ever set foot at SFU. Not only was she a faculty member in SFU’s Department of Chemistry in 1966, who switched to Computer Science in the late 80s, but she founded the university’s Women Studies program in the mid-70s. 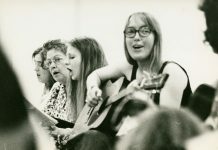 Beyond her academic work she was a notable feminist and social justice activist, not to mention a musician who played a leading role in establishing the Vancouver Folk Music Festival. Although in 1991, at only 52 years old, she tragically passed away after a long battle with cancer, she will never be forgotten at Simon Fraser. Love him or hate him, this university wouldn’t exist without him. After being called up out of the blue by Premier W.A.C. Bennett in May of 1963 offering him the Chancellorship, he was put in charge of selecting the site for SFU, building it and getting it going by September of 1965. Although he may not have left on the best of terms (he retired following a ton of turmoil involving student and faculty protests, which forced the dismissal of his friend and inaugural president Patrick McTaggart-Cowan) there was rarely a dull moment when he was around and his legacy remains strong to this day. No, SFU was NOT designed to be a prison. While its architecture might seem a little cold at times, the man who designed it was trying to do something revolutionary, not imprison students. His idea to house all the departments in a single structure (the AQ) instead of separate buildings was unheard of and genius. He went on to have a distinguished career in architecture, but SFU was his first masterpiece. At SFU, athletics are synonymous with the name Lorne Davies. Despite being a surprise choice for Athletic Director in 1965, he went on to change not only SFU but university sports across the entire country. Although for the first few decades his decision to offer athletics scholarships was shunned, it has since swept the nation. Clan athletics are what they are because of Davies. Before a merger with the Port Moody Pipe Band in 1981, SFU’s Pipe Band was just a student club like any other (read the full story here). As the pipe sergeant since that time, Jack Lee has led the Simon Fraser name on to six World Pipe Band Championships. He is also an accomplished solo piper and in 1999, along with his brother Terry, he received the Meritorious Service Medal from the Governor General of Canada. In 1974, Jewett joined SFU to become the first woman president of a Canadian co-educational university. Apparently she had a miserable time at SFU in the wake of all its early radicalism, but she did end up getting a residence building named after her, which isn’t too shabby. She also served as a Member of Parliament before and after her presidency. Even now that we have a couple of Starbucks, Renaissance Cafe is still like the Starbucks of SFU. They are everywhere! Parminder Parhar founded the SFU coffee hot spot back in 1996 and has been a beloved member of our community ever since. He is also a champion of fair-trade, a philanthropist, and without him we wouldn’t have Subway. Although the explorer who discovered the nearby Fraser River was not well educated and never dreamed of founding any sort of educational institution, he managed to become the namesake of a top university. He almost became the face too, but a planned monument was axed in 1968 (read the full story here). His Scottish heritage has inspired the majority of SFU’s traditions including our world-famous Pipe Band. Perhaps the greatest athlete in SFU’s history, by the time he graduated in 1981, he had broken or equalled eleven school men’s basketball records, scored 2,616 points and was drafted by the NBA’s Los Angeles Lakers. He went on to play in two Olympics, coach in the Olympics and became the first Canadian-born NBA head coach when he was hired by the Toronto Raptors in 2009. In 1999, while he was still a Computer Science undergrad at SFU, Minh Le created a mod for the popular video game Half-Life called Counter-Strike. The game spawned a popular franchise and Le, nicknamed online as ‘Gooseman’, has since gone on to develop and work on several more popular games. As a contemporary artist who was hired to teach at SFU in 1966, Baxter& had some unique ideas. When asked to instruct a two hour class once a week for 13 weeks, he instead decided to do a single 26 hour straight class (read more here). He’s gone on to do a lot of interesting things including legally changing his name to include an ‘&’ symbol in 2005. Caron did it all at SFU, and then went on to do even more after she left. As a Kinesiology undergraduate student she was a star basketball player and the winner of more than 20 academic awards. She then went on to become the first female First Nations student to graduate from UBC’s School of Medicine and completed her Master’s at Harvard. An eccentric genius, Buzan was the first student society president at SFU. During his tenure, he was known to play five classmates at chess, at the same time, and win every game. He left graduate studies at Simon Fraser after only a year, but went on to become the inventor of ‘Mind Mapping’, and the writer of over 100 books about the brain and thinking. In 2011, Ryan and his father Keith donated $22 million to his alma-mater and SFU Business was renamed the Beedie School of Business. It was the largest gift the school ever received and Ryan, who took over as president of Beedie Industrial in 2001, is known not only for his innovation and vision, but his charitability. She may not have graduated or become student society president, but Clark has definitely managed to scrape by. An intimidating politician even as a 20-something year old SFU undergrad, Clark served in the BC legislature for almost a decade before leaving to host a radio show and then returning to become Premier of the province in 2011. Although the man who was affectionately nicknamed ‘McFog’ was quite popular during SFU’s first couple years, as he had a reputation of being approachable and nice to students, McTaggart-Cowan’s run ended pretty poorly. After a number of protests concerning the wrongful firing of five TAs and a CAUT (Canadian Association of University Teachers) censure, the Board of Governors had him dismissed. Despite this unfortunate ending he was a great first president who is responsible for a lot of the tradition we carry on to this day. One third of the famous SFU Wong brothers who were highly involved in everything during SFU’s formative years, Stan is now the CEO of the Hong Kong Competition Commission. While at SFU, Wong served as the university’s fourth student president and was one of SFU’s inaugural student senators (SFU was unusual at the time for allowing students to be on the Senate). Look back at old articles of The Peak and you get the impression that this guy was the devil incarnate. Listen to old faculty members or administration reminisce about him and you’d think he was the second coming. As the eventual replacement of McTaggart-Cowan as president, Strand started his term by calling the RCMP on students ‘occupying’ the faculty lounge. For better or worse, his presence settled down the raucous campus into becoming what it is today. During his time as a student at SFU, Wedmann was a member of the Student Council, was Editor-in-Chief of the student newspaper, was on the track and field team and was an Olympic athlete, representing Canada in high jump at the ‘68 games in Mexico. To cap it off, in 1972 he was the university’s first ever Rhodes scholar, which paid for two years of postgraduate studies at Oxford. He later served as the school’s athletic director. In the late 80s, Lee was recognized as quite possibly the greatest running back ever developed in Canada. He held 15 Clan records when he graduated and once had a game so good where he rushed for 422 yards of offense, scored five touchdowns, set seven records and was the first SFU athlete to be named NAIA national player of the week, a feat which earned him an appearance in Sports Illustrated. He was taken first overall in the 1988 CFL Draft by the Ottawa Rough Riders. After receiving his PhD in Physics from SFU in 1973, Turner went on to join a global group of his peers and helped create MRI (magnetic resonance imaging), the most widely used method of mapping brain function. His further contributions to MRI scanners earned him the Nobel Prize in Physiology or Medicine in 2003. A member of the Sto:lo nation, Archibald is a notable Indigenous scholar who has dedicated her 40-year career to creating culturally relevant education programs for Aboriginal students. In 2004, she was a panelist alongside the Dalai Lama and Desmond Tutu and she was also the recipient of the 2000 National Aboriginal Achievement Award for Education. As the first Student Union Building committee chairman at SFU, he inspired a dream that is still being fought for to this day. Pulsford was also fundamental in the evolution of the student newspaper, as well as bringing a number of early student services to SFU. He tragically died at age 25 due to his struggles with hemophilia (read his story here). The first faculty member hired by President McTaggart-Cowan, Baker was the Director of Academic Planning and the first head of the English department. Although his contributions often go unheralded behind characters like Shrum, he was integral to the unique early course offerings and is responsible for the first trimester system in Canada. When Arthur Erickson was busy designing SFU’s Burnaby location in the mid-60s, Thom was still a student at UBC working his way to a Bachelor of Architecture. By 1972, however, he had joined Arthur Erickson’s architecture firm. Ten years later he had his very own firm who went on to design SFU’s new Surrey location in 2004. Despite being SFU’s first major football star and a first overall CFL draft pick, Holm never made it into the BC Football Hall of Fame. 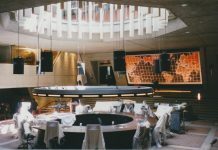 He did however make it into the BC Restaurant Hall of Fame as the co-creator of Spectra Foods who helped develop The Boathouse Restaurant and Milestones. On July 17, 1968 an article in the Vancouver Sun entitled “Who is he?” profiled SFU’s biggest radical, a 24-year old rabble rouser from Lancashire, England named Martin Loney. Before arriving at SFU in the summer of ‘66, Loney had already been involved in two university ‘revolutions’ in England. From leading the charge in getting president McTaggart-Cowan removed, to becoming student society president and trying to change the school’s name to Louis Riel University he certainly was a bundle of excitement and turmoil. An integral part of erecting the bust of Mahatma Gandhi (read the full story here) in a courtyard just off the AQ, Thakore was a devout Hindu who earned a Master’s degree from SFU. He taught the philosophy of education in the early 1970s and has an annual award named in his honour which has been presented every year since his death in 1997. A passionate advocate for restorative justice, Hutchison wrote a book in 2006 entitled Walking After Midnight. It told the true story of the 1997 murder of her husband, a fellow SFU grad, and her search for the killer. Inspired in part by the writings coming out of SFU’s Centre for Restorative Justice she has reached out to the man responsible with compassion. She’s transformed this into a speaking career which has played a big role in the lives of thousands of teenagers. Hired by Gordon Shrum as the first head of the Political Science, Sociology and Anthropology department, despite being a well-known Marxist, Bottomore was one of many early radical SFU faculty members. He left in 1967 following the first academic freedom crisis. He went on to teach Sociology at the University of Sussex from 1968 to 1985. As a librarian who worked at SFU from the beginning under head Donald Baird, Fagerlund was SFU’s first University Archivist. She worked half-time in this position from 1968 to 1975, when she left the school. After retirement from the library, Baird would become the first full-time archivist when it became its own separate administrative department in 1978. Both the term ‘soundscape’ and its academic study, originated with Shafer who developed his ideas as faculty at SFU’s Centre for Communication and Arts in the late sixties. He’s also a notable artist and composer and his ideas about acoustic ecology are widely studied across the world and still particularly at SFU. The other ‘McFog(g)’, our school’s hilarious scotty-dog mascot, was introduced in 1996 after replacing SFU’s unofficial gorilla character. McFogg has had his ups and downs: he’s been beaten up at football games, tipped over because his head was too big and at one point really had trouble keeping his kilt from falling off. He’s a beloved figure on our campus and getting a picture with him should definitely be on your bucket list. When SFU opened in 1965, it only had one residence building: a women’s only pad named “Madge Hogarth House”. The woman it was named after was a notable Vancouver philanthropist and put up the money for it. Unlike the rest of campus, ‘the Madge’ was always a place of calm and tradition with Hogarth visiting once a year to drink tea with the girls. During his time as a student athlete at SFU from 1997 to 1999, Igali won 116 consecutive wrestling matches for the Clan. In 2000, he won Canada’s first ever gold medal in wrestling which earned him the Lou Marsh award as Canada’s top athlete of the year. He has subsequently been inducted into the BC Sports Hall of Fame, the Canadian Wrestling Hall of Fame, the Canadian Sports Hall of Fame, the Canadian Olympic Hall of Fame, and the World Wrestling Hall of Fame. Retiring this year, SFU alumnus Chu was the first non-white Chief Constable of the Vancouver Police Department. Splitting his time between the police force and university, following graduation, Chu rose through the ranks of the VPD and in 1996 developed their first website. After years of hard work and service beyond the call of duty, in 2007, he was not only named Chief Constable, but was awarded the Order of Merit of Police Forces by the Governor General. The artist behind “Oval Reflections”, better known as the Avocado-Egg thing in the AQ, Basanta is a prolific local artist originally from Spain. Part of SFU’s Millennium project, the split oval with a mirror inside has entertained, delighted and confused students for the past 15 years. 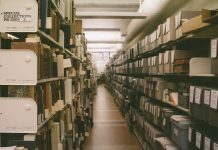 SFU’s longest serving head librarian, during his 20-year career (1978–1998), Dobb was responsible for a great deal of innovation at SFU, including overseeing the opening of the Belzberg Library at Harbour Centre and creating an online catalogue for the library. Her sister Rosalind may have been the first winner of the Miss Simon Fraser pageant, but it was Margaret Sinclair who would become a Canadian household name after she married the Prime Minister of Canada at 22 years old in 1971. She had met him years earlier while on vacation when she was an English Literature major at SFU. When the SFU Art Gallery went public in 1970, it was under the direction of James W. Felter. He was both the first curator and director, positions he served until 1985. Under his leadership, the gallery presented 127 exhibitions on campus and developed its own program of circulating exhibitions to other public art galleries, principally in western Canada. What happens when Robert Burns Day and the Chinese New Year happen to be two days apart? Normally nothing, but Wong — who has adopted the moniker “Toddish McWong”, and had helped out in the Robbie Burns celebrations the year before — decided to combine the two cultures in one grand celebration: Gung Haggis Fat Choy. While not a professional looking mascot like his successor McFogg, the Gorilla was briefly the most electrifying being on campus. He was known to do backflips at football games, get in fights with UBC’s T-Bird and was famously knocked out while trying to do a trampoline slam dunk during the halftime show of a basketball game. Despite being a historical figure closely associated with Manitoba and the prairies, Louis Riel’s name has played a significant role on campus. After Martin Loney’s radical 1968 summer council weren’t able to get his name to replace Simon Fraser’s, who they called “ a member of the vanguard of pirates, thieves, and carpetbaggers which dispossessed and usurped the native Indians of Canada from their rightful heritage”, the name was chosen for the apartment style residence which opened in 1969 and closed in 2015. Although he was not an SFU student, the Youtube celebrity who describes himself as a “Prankster, Part-time Asian Gangster, Vlogger, and Batman Pajamas Collector” used SFU as the location of several of his biggest “pranks” including dressing up as a Power Ranger and interrupting classes in the AQ. Considered by many to be the female Wayne Gretzky, Wickenheiser briefly played softball for the SFU Clan in 2000. As a hockey player, she holds the distinction of having the most gold medals of any Canadian Olympian and in her year at SFU helped the Clan finish 3rd in the NAIA. Described with great fondness by inaugural student society president Tony Buzan as “a mini Fidel or mini Che Guevara”, Garr was the original outspoken opposition to the student government. A columnist for the student newspaper while at SFU, Garr has had a lengthy career in journalism, both on the radio and in print. He is also a notable beekeeper. Always interested in comedy, Little was The Peak’s Humour section editor in 2004. He’s gone on to make a name for himself as a sketch and stand-up comedian through Picnicface, a starring role on the CBC series Mr. D, and an appearance on Conan. Although he may not be a real person, this classic Frankie Muniz character spent time at SFU when the rotunda was used by the movie Agent Cody Banks as the CIA’s headquarters. Other movies filmed at SFU include 1972’s Groundstar Conspiracy, Fantastic Four and Catwoman. The TV show Battlestar Galactica also filmed here. There should be someone on this list from the “PSA 8” of the late 60s. I nominate Kathleen Gough (I’m partial: she was my mother) and Mordecai Briemberg. Good to see Martin Loney’s name up there, although I find the paragraph about him patronizing and dismissive. It’s an absolute honour to be on this list. I have such fond memories of my time at SFU and I’ve always carried it with me in everything I do.